My life would be boring without fresh herbs and spices. 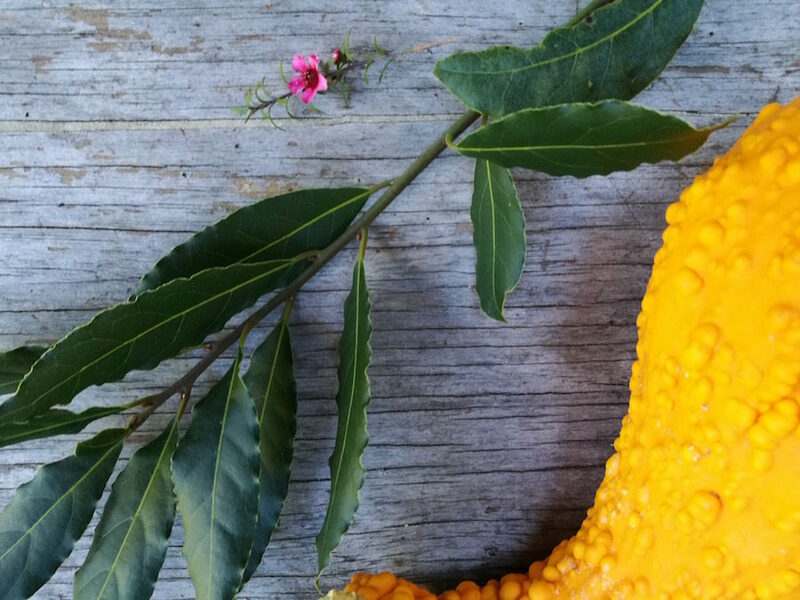 Here’s my guide to what herbs and spices you can (and can’t) grow in the Waikato. And also, where/ how to get them. This is a follow-up to Parsley, Sage, Rosemary and Thyme. Here’s a link to that post: Home-grown kitchen herbs. Coriander, Coriandrum sativum, is used as seeds and fresh greens. It’s an x-factor herb/ spice for many cultural food traditions, including those of South-East Asia, Italy, Mexico and India. Coriander grows easily in the Waikato. It’s happier at cooler times of the year – it tends to bolt to seed in hot dry weather. However, there are varieties that are less likely to bolt. The Suncakes Gardens stall at Waikato Farmers’ Markets sells locally grown green coriander most of the year. And Asian-owned greengrocers also stock green coriander. Flowering fennel in a home garden. 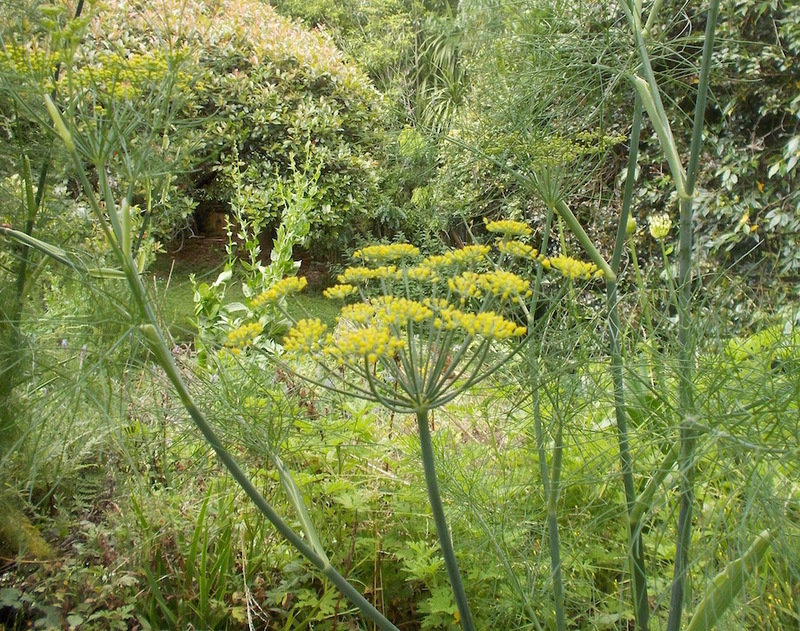 Fennel, Foeniculum vulgare, is easy to grow in the Waikato. The leaves and seeds are used in both Asian and European food traditions. Florence fennel is a variety with a crunchy bulb and stalk. Fennel grows wild, but if you’re harvesting wild fennel make sure that it hasn’t been sprayed. The Suncakes Gardens stall at the farmers’ markets sometimes has Florence fennel. Southern Fresh Foods at Matangi used to sell locally grown Florence fennel at the markets, but I think they mainly sell direct to restaurants now. Mustard is the common name for several species of the Brassicaceae family. Both the leaves and seeds are easy to grow. The leaves have a peppery, tangy flavour, which goes well in Asian-style stir-fries and complements blander lettuce in salads. I don’t know of anyone growing mustard seeds for sale locally. Mint, Mentha x piperita, is fairly easy to grow in a garden. There are many varieties of mint, but Mentha x piperata is the kind that I think tastes right in tabbouleh and mint sauce. Plant a root cutting from a friend, or buy a plant from the farmers’ markets, or Oakdale Organics, at Palmers garden shops. Mint likes damp, fertile soil. It’s hard to buy fresh mint leaves. The small mint plants for sale at vege shops are usually very bland in flavour. 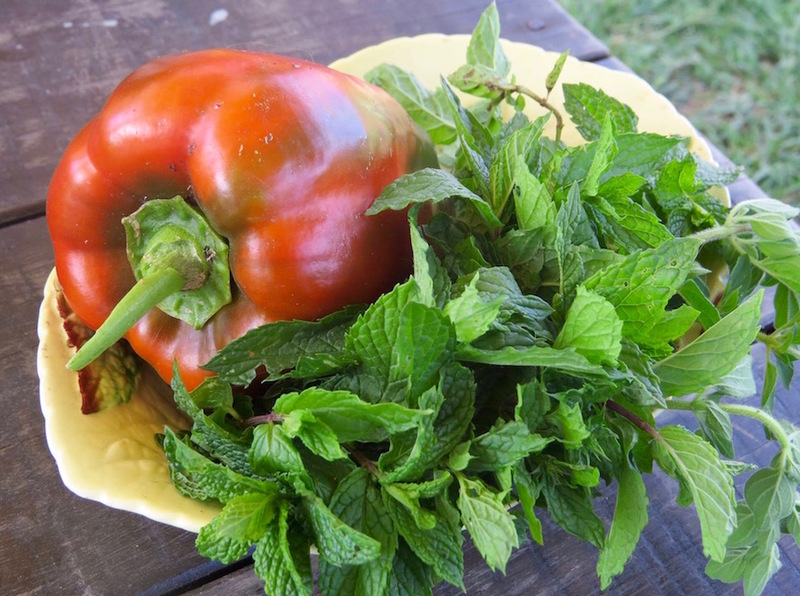 Freshly picked mint. Photo by Dani Edwards. Vietnamese mint, Persicaria odorata, has a unique flavour that’s an x-factor in South-East Asian foods. It’s also called Vietnamese coriander or rau ram. I’ve never seen it for sale. It grows easily in a pot from a cutting. Szechuan pepper, Xanthoxylum species, has a very distinctive, hot/ astringent/ tangy flavour. It’s important in some Chinese regional cuisines. It’s not related to black pepper, Piper nigrum, which comes from a tropical vine. I know that people in the Waikato are growing Szechuan pepper, because it turned up in my Ooooby box a couple of years ago. Sweet marjoram, Origanum majorana, grows easily in spring and summer and dies back in winter. Its close relative, oregano, Origanum vulgare, can theoretically be grown in the Waikato, but in this climate it will be a bland imitation of the real thing. Oregano needs a hotter and drier climate to reach its full aroma and flavour. Oregano is the one herb that I always buy dried. 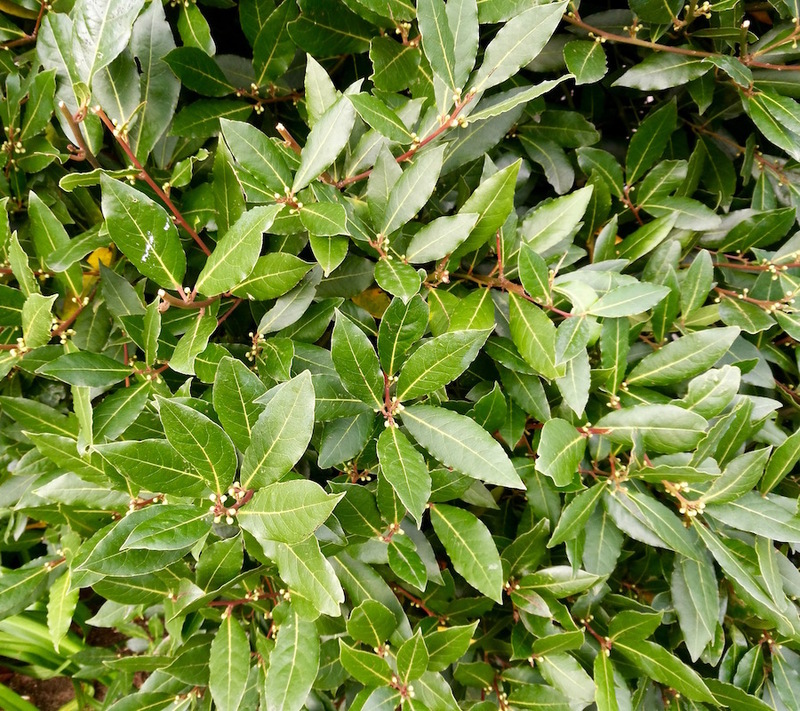 A couple of bay leaves are essential in a soup or stew or pot of broth. The Waikato is full of bay laurel trees, Laurus nobilis. For a home gardener bay needs to be kept in a pot, or else clipped into a hedge, or it will grow into a huge tree. I snip a few leaves from a neighbour’s hedge down the road. The leaves dry easily on the windowsill. The flourishing bay laurel tree down the road. Garlic, Allium sativum, grows very well in this region. I know of two local growers of excellent garlic: The Cato family of Catos Potatoes sell several varieties of garlic at the Waikato Farmers’ Markets, from December. They tend to run out in about May. And Rick Thorpe and Liz Stanaway of Taunga Kereru sell their excellent garlic at the Raglan markets. There may be other garlic producers in this region – I’d love to hear about them. Garlic is quite easy to grow in a home garden. (Even I can grow it successfully!) Here’s a link to my post about how to grow garlic. Organic gardening specialist Clare Jackson of Green Footprint says that even though garlic is traditionally planted at midwinter and harvested in December, it can be grown most of the year. Chilli peppers (various Capsicum species) are easy to grow in the Waikato. I buy plants from Weathersfield Seedlings at the farmers’ market, plant them in the garden in spring and harvest in autumn. I store chillies in the freezer and use when required. Other people I know make chilli sauce. Chillies can also be dried in a dehydrator. Southern Belle sell excellent chillies at the local farmers’ markets in summer. Some of my favourite herbs and spices can’t be grown in this climate. These include ginger, black pepper, cinnamon, cloves, cardamom, nutmeg, vanilla and turmeric. These are all tropical plants. It’s just too cold to grow them in the Waikato. I buy these tropical spices from Trade Aid by choice. As well as being fair trade and (mostly) certified organic, Trade Aid spices are always excellent quality. Their cinnamon powder is superb – it’s much more aromatic than supermarket cinnamon. Try it and see. Mioga ginger, Zinziber mioga, also called Japanese ginger, has buds with a gingery flavour and can be grown in home gardens. Wild ginger, Hedychium gardnerianum, which is an invasive pest plant loathed by local councils, isn’t edible.